Jim Palmer is a marketing and business building expert and host of Dream Business Radio. He is known internationally as "The Newsletter Guru"- the go-to resource for maximizing the profitability of customer relationship - and "The Dream Business Coach", founder of the world-famous Dream Business Academy. Jim is the founder and President of Custom Newsletters, Inc., parent company of No Hassle Newsletters, The Dream Business Mastermind and Coaching Program, the Dream Business Academy, The Newsletter Guru’s Concierge Print and Mail on Demand, and Success Advantage Publishing. He is the creator of the Magnetic Attraction and Retention Training Program (MARS), Double My Retention, How To Sell From The Stage Like A Pro, Stick Like Glue Radio, and Dream Biz Coach TV. Jim is the internationally-acclaimed author of six books, all of which are available at Success Advantage Publishing. Jim was also privileged to be a featured expert in The Ultimate Success Secret, Dream, Inc., ROI Marketing Secrets Revealed, The Barefoot Executive, and Boomers in Business. Jim Palmer speaks and gives interviews on such topics as newsletter marketing, client retention, how to build a profitable business and how to achieve success. Jim is a cancer survivor, has been married for thirty-three years, has four grown children and an awesome grandson. He lives in Chester County, Pennsylvania with his wife, Stephanie, their cat Serendipity, and Toby the marketing dog. 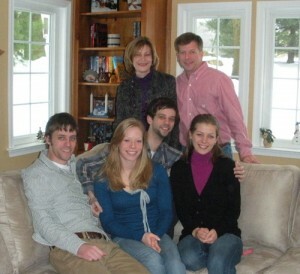 Jim and Stephanie love to kayak, travel, and spend time with their family. Connect with Jim and tune into his weekly podcast.